Since the war thousands of people walked right over it and its embrasures were closed but this March it was unearthed. 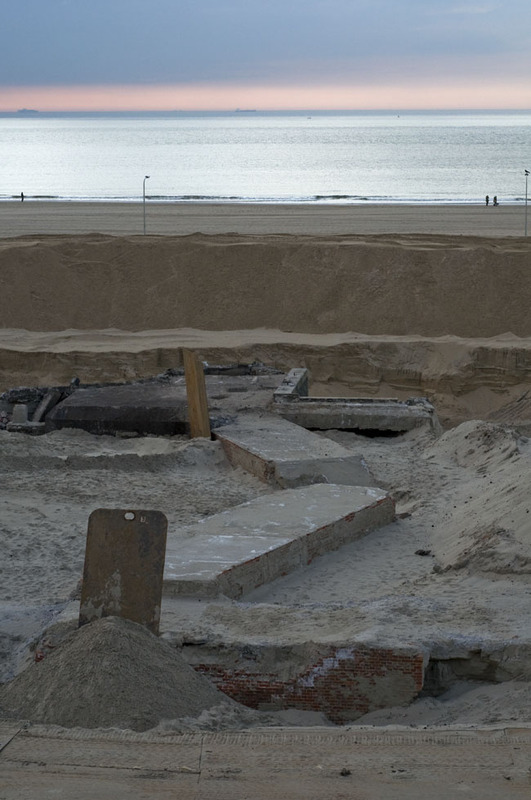 A small pre war Dutch machine gun casemate with a German addition can be seen again at the beach of Scheveningen. 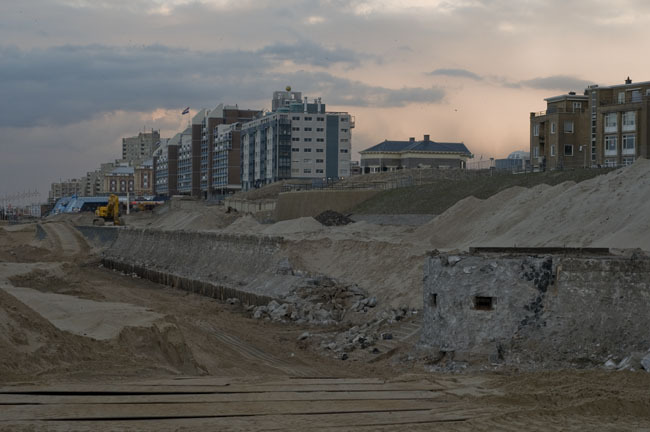 The seawall will be raised in the coming weeks to bring it to a safer level to protect the lower parts of Holland against the sea. During the works they ‘discovered’ the bunker. It was even on national news. 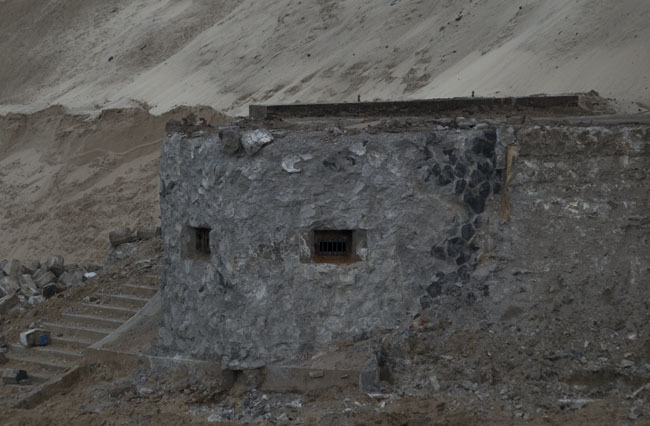 Ofcourse we bunker archeologists already knew there was a small machine gun bunker but the attached German part and the covered trenches were a surprise. At the moment local government is seeing if it can be moved to another place to preserve it for the future. Quite a noble initiative. For the moment the bunker is behind the fence but on the 10th and 16th of April the site will be open to the public. Grab your chance to see it on the inside. More (inside and outside) pictures on the Fortificatieforum. 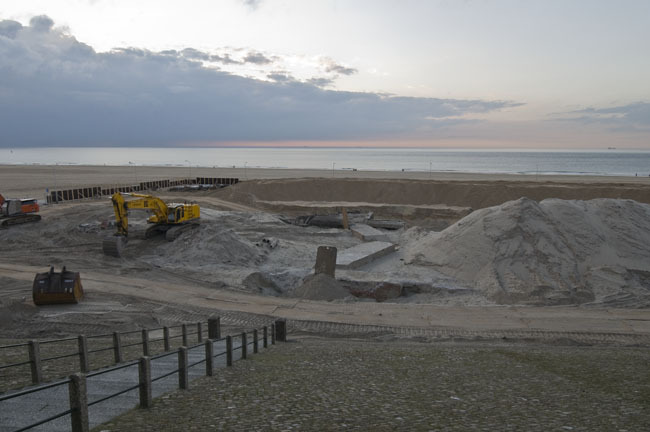 Written by BunkerBlog » Golden concrete mixer 2010!